Late Arrivals Game - Icebreakers, Icebreaker Ideas, Games, Activities! The Late Arrivals Game is an entertaining word/talking game. It is a parlor game that was featured on Radio 4’s I’m Sorry I Haven’t A Clue in the United Kingdom. Each player takes a turn as the toastmaster of a fancy ball, introducing the guests of the ball. 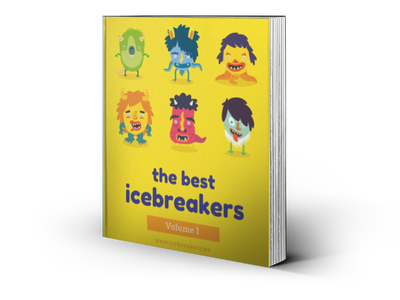 This game can serve as an icebreaker or party game. It can be silly and works best with people 16 and up. The game works best with groups of about 6-8 people. The game involves some creativity, so you may form pairs or groups of three as well. First, the facilitator (host) of the game must decide what the late arrivals have in common — in other words, what the theme of the ball is. Late Arrivals at the Builders’ Ball. Late Arrivals at the Cake Eaters’ Ball. Late Arrivals at the Churchgoers’ Ball. Late Arrivals at the Policeman’s Ball. Late Arrivals at the Animal Ball. Late Arrivals at the Gardeners’ Ball. Late Arrivals at the Undertakers’ Ball. Late Arrivals at the Cheesemongers’ Ball. Late Arrivals at the Dog Lovers’ Ball. Late Arrivals at the Foodie’s Ball. Each player takes it in turn to be toastmaster announcing fictional people to the ball, all of which need to have something to do with the theme of the ball and hopefully be amusing. An example could be from the Animal Ball, “Mr and Mrs Raffe and their daughter Jay!” (sounds like Giraffe). There is not really any right or wrong answer for this game — allow players to be funny and creative as they wish. Because of the difficulty of coming up with answers off the cuff, it is probably better to have prior warning of this game, and maybe play in teams of about three or so. This should mean that at least you come with some ideas. Each team could have a different theme or ball. Keep playing and take turns coming up with additional names until each group cannot come up any more. The winner may be the one who continues when the other players/teams have given up or when the host or all players determine who was the funniest.